Belcourt’s 2002 painting, The Conversation – one of the most popular pieces in the Thunder Bay Art Gallery’s permanent collection – is made of dots that the artist created dipping the end of a paintbrush or knitting needle into the paint and pressing it onto the canvas. Like many of Belcourt’s best-known paintings, the piece evokes the traditional beadwork of First Nations and Métis women. 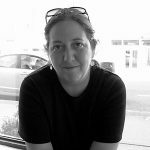 Both Belcourt’s art and her poetry inspire reflection and conversation. 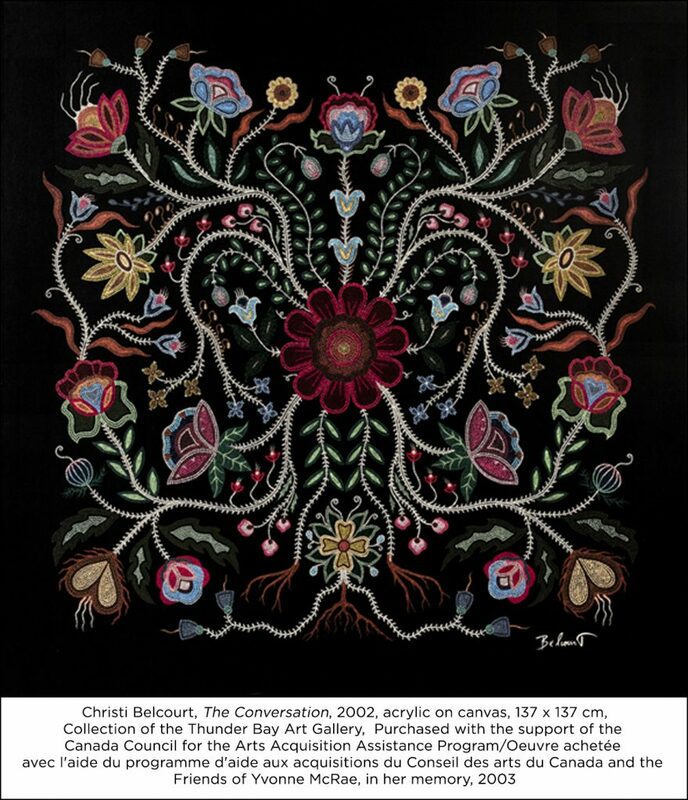 People love Belcourt’s works showcasing beautiful twining stems, flower blossoms, and root systems which highlight the abiding connection of all life across Turtle Island (North America). In fact, in 2015, Belcourt’s Wisdom of the Universe (2014), was voted the visitors’ favourite artwork in the Art Gallery of Ontario’s entire collection. The Thunder Bay Art Gallery is pleased to be able to include this work in the exhibition. 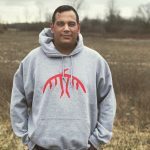 Belcourt’s collaborative work with Murdoch calls for action. Together, they produce powerful images championing the restoration of balance between all living beings and the natural world. 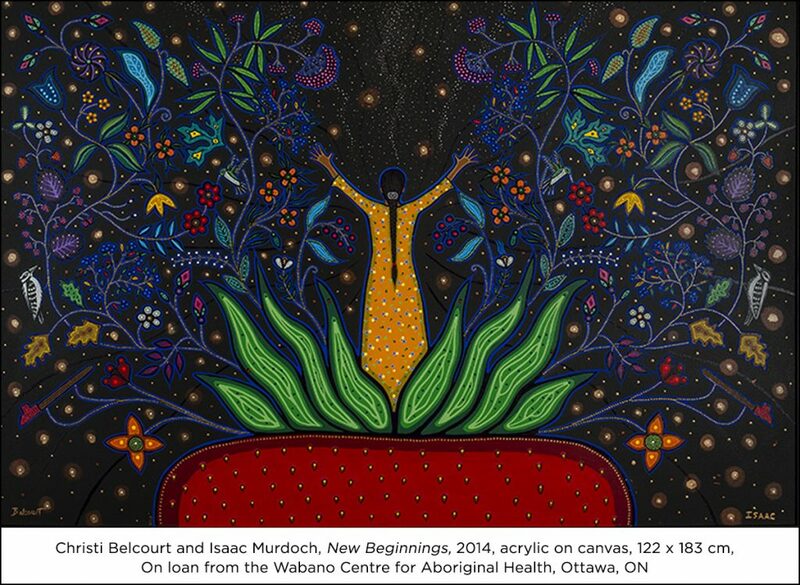 People will be able to appreciate their dedication, energy, and determination in works such as New Beginnings, 2014, Collection of the Wabano Centre for Aboriginal Health. Read more about the Onaman Collective and artistic activism. Other works in the exhibition are on loan from the National Gallery of Canada, Crown-Indigenous Relations and Northern Affairs, and the Canadian Museum of History. 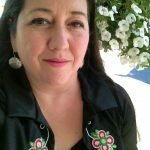 View From the Heart: An Interview with Christi Belcourt, to discover more about Water Song, 2012, an exceptional work on loan for the exhibition from the National Gallery of Canada.